You’ve heard of the famous Champagne Bar at The Bicycle Thief—in the winter, it transforms into the Fire & Ice Bar, and it’s one of a kind in Halifax. It’s like an oasis but in the winter, with warm blankets, heaters, and winter cocktails. Pull up a stool and meet some friends to enjoy the outside in sophistication and style. On the Halifax waterfront during the weekend of February 2 – 4, participate in fun games, enjoy hot chocolate, do some “snowga” yoga, and catch a snowshoeing demo as part of the Winterful Waterfront Weekend. Hosted by Develop Nova Scotia, this fun-filled event has something for every age. These fun winter activities will take place near the Sands at Salter, and parking will be free at Bishop’s Landing and the Salter Street parking lot. The cold winter weather can be harsh on our skin and hair. Take some time to indulge in some self-care to get your beauty routine back on track. Whether it’s just a trim and highlights, or you’re in the mood to add some extensions, you’ll feel like a new person after getting your hair done The Hair Factory. After the salon, pop over to MoonMoon Cosmetics to pick up some sheet masks, which are designed to provide hydration and valuable nutrients to the skin. They carry a wide variety of these masks, which come in different versions to suit all skin types. At Sea Smoke, you’ll find spanning views of the Halifax harbour and a huge patio that is open year-round. 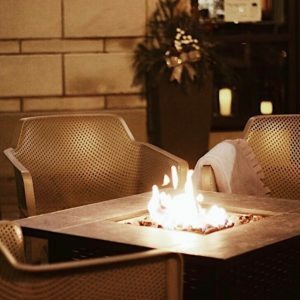 May we recommend you have a seat at one of the fire pit tables, wrap a cozy blanket around you, order a Brandy Blazer, and enjoy! You will feel like you’re on a glamorous winter getaway. The team at Bishop’s Cellar loves sharing their knowledge about wine almost as much as they love wine. Their new website has an entire section dedicated to education, but if you want to take a deep dive into learning about what’s in your glass, sign up for one of their 5-week courses. Wine Appreciation Level 2 course starts February 13, so secure your spot today! You’ll learn about different grape varietals and gain an understanding of the wine growing regions. This is a unique opportunity for those who made a resolution to learn something new in 2019 or for wine lovers looking for a fun winter activity. There is always something fun to do in downtown Halifax—no matter what the season. Dress warm, bring some friends, and add these fun winter activities to your weekend plans! While you’re out, follow us and tag us in your social posts on Facebook, Twitter, and Instagram.